There’s a competition over at Writers in the Storm. They’re looking for creative log lines selling the worst storyline ever. The rules are simple enough and it’s a good challenge. Reading through the submissions on their competition page makes for some humorous escapism. It’s a lovely long list of films that will never be. It’s a more difficult challenge though than it first appears. How bad should it be? There’s an obvious creative license but it seems to against the basic desire of a writer – to write well. However the desire to write a bad log line well does mean that you spend more time than you intended crafting your (good) bad movie narrative. In the underwater kingdom of Aqua Falls, Chris the seahorse has a gender crisis. Gary is an all action hero in a pacifist utopia; he’s out of place but not out gunned. Lighting is a stallion that longs for the glory days before cars (BC), he rallies a herd and together they canter on the local car dealership. I urge any writers reading this to get involved in the competition. It’s a challenge, it’s fun, and it works as a pretty effective writing prompt. Ironically I want to write all three of my log lines – what that says about the rest of my writing is anyone’s guess. 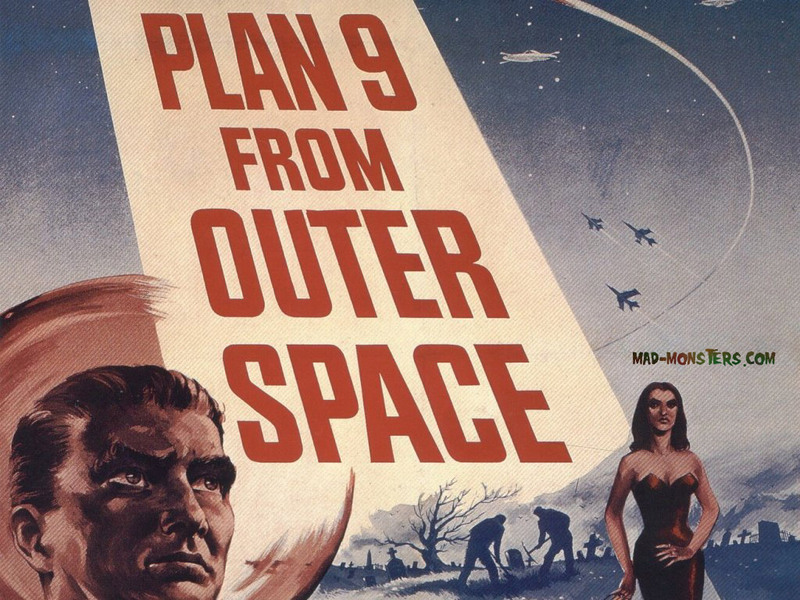 Here’s Plan Nine from Outer Space condensed into a more watchable form courtesy of Penguin Without a Rose. Andy, thanks for letting people know about the contest! I can’t enter, but I’ve been entertaining myself with crafting terrible loglines anyway. It’s a great exercise, and the winner gets a critique from Chuck Sambuchino! A win-win, right? This is really funny. I missed out on the competition at the time, shame. “Out of place but not out gunned” – put that on the poster. I think I always liked the stallion one – BC (Before Cars). Real sense of nostalgia there.